avocado toast is so in right now. and for good reason. carbs + avocado = heaven. but we think we’ve perfected it. here’s our how-to for super simple avocado butter. perfectly creamy, savory and avocado-y. i know that’s a word. the best part is that it only takes about 5 minutes to make. toss everything in the food processor (if you have a little bowl attachment for small jobs, use that) and blend until smooth, ~2 minutes. use a spatula to scoop all the avocado butter out of the bowl and onto parchment paper; use the paper to form the butter into a log, and roll up. after it sits in the fridge for an hour or so it will harden up and can be sliced. 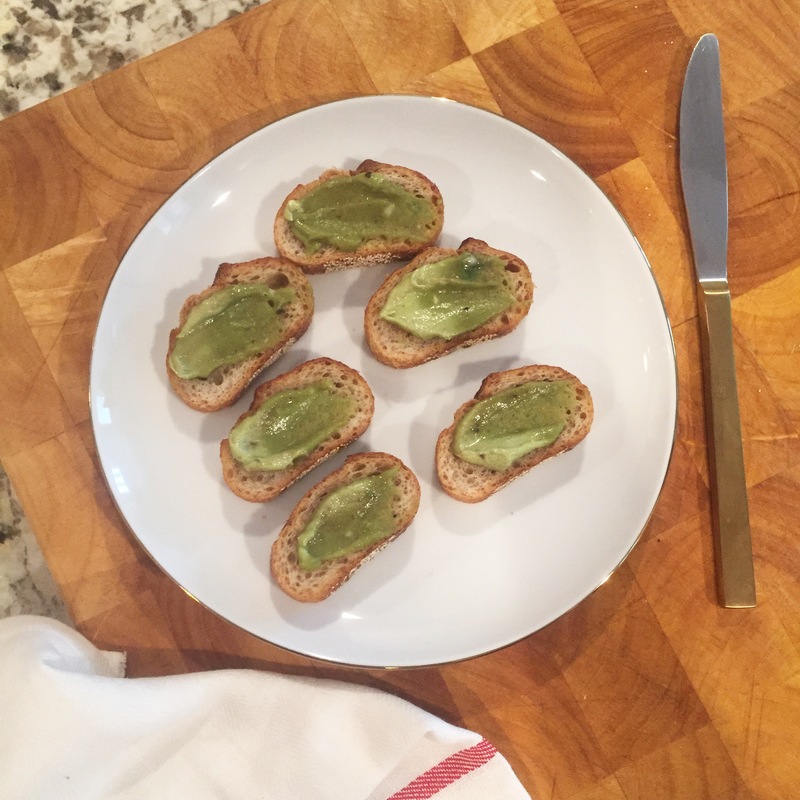 this avocado butter makes the perfect crostini topping. imagine thinly sliced baby tomatoes and shallots on top. my mouth is watering. we also used it on pasta last night. linguini with olive oil, sautéed summer squash, parmesan + avocado butter. it was the perfect light, summer dinner (or would have been if i wouldn’t have had two helpings). the avo butter keeps for a couple days in the fridge.